Born at Moss Park, Toronto, Ontario on 13 August 1860, son of Senator George William Allan and Adelaide Harriet Schreiber, he was educated at Upper Canada College, Galt Collegiate Institute, Trinity College School, and Trinity College University. He studied law with Edward Blake in Toronto. He came to Winnipeg in 1879 and was called to the Manitoba Bar in 1882, establishing the law firm of Munson and Allan. He was a Bencher for the Law Society of Manitoba from 1918 to 1922. In 1917, he was Food and Fuel Control Administrator for Manitoba. 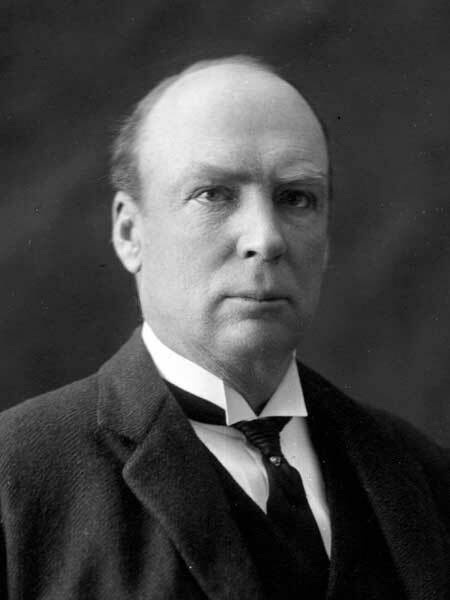 He served as President of Great-West Life Assurance Company, Chair of the Canadian Committee of the Hudson’s Bay Company, and a Director of many Canadian companies including the Canadian Bank of Commerce, Canada Permanent Mortgage Corporation, National Trust Company, Northern Trusts Company, Northern Mortgage Company of Canada, Canada Cement Company, Dominion Bridge Company, British American Oil Company, Hudson Bay Oil and Gas Company, Beaver Lumber Company, and Lake of the Woods Milling Company. He held executive positions with several companies, including President of Allan Securities Company, President of the G. W. Allan Farming Limited, President of the Beaver Fire Company, Vice-President of the Canada Land and Loan Company, and Vice-President of Alloway and Champion Limited. In 1896, he married Muriel Hester Wragge of Toronto. They had five children: Jocelyn Otillie Allan (b 1897, wife of Ralph D. Baker), Enid Carlyon Allan (b 1899, wife of Ross M. Macdonald and Ernest Hampson), George William Allan (b 1902), Arthur Carlyne “Tony” Allan (b 1907), and Edmund Allan (b c1913). In 1917, he defeated N. T. MacMillan in election to the House of Commons as a Conscriptionist, serving until 1921. 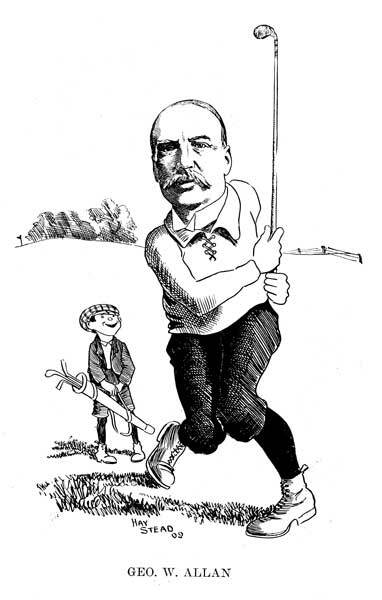 He served as President of the Manitoba Club from 1916 to 1922, and was a member of the St. Charles Country Club, Pine Ridge Golf Club, Union Club (Victoria), Rideau Club (Ottawa), York Club (Toronto), Lake Francis Shooting Club, and Victoria Golf Club. He died at Victoria, British Columbia on 6 December 1940 and was buried in St. John’s Cemetery. He is commemorated by Allan’s Island in Lake of the Woods of northwestern Ontario, where he had a summer cottage for many years. “George Allan dies Friday in Victoria,” Winnipeg Free Press, 6 December 1940, page 1. “George W. Allan funeral Tuesday,” Winnipeg Free Press, 7 December 1940, page 1. We thank Jane Mather for providing additional information used here.